Back in 2010 when we first purchased Seapickle II, we took one look and thought there was no way we would ever tow a boat of this size. 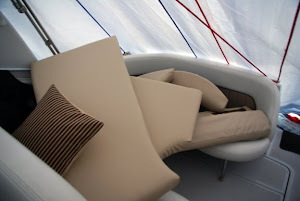 Now starting our 3rd season with our boat we have realized how much we want to explore new destinations, and purchasing a trailer for our boat is the only way this would be possible. 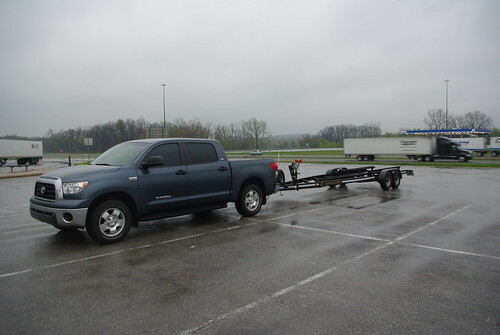 Once we factor in the annual storage savings and the ability to find gas cheaper than marina prices, the idea of having a trailer makes a lot of sense and should pay for itself over time. We started our search earlier this year looking at new and used trailers. When we couldn't find the right used trailer, we decided to go with a new custom built Loadmaster trailer. Days before I sent in my deposit for the new trailer, I received a message from our friend Cap'n Morgan on the Four Winns owners forum who had found the exact same trailer we were getting ready to purchase used for HALF the price! I couldn't believe what a rare find he had found and the good news the owner was willing to drive to meet us part way in Toledo, Ohio instead of going all the way to Cleveland, which saved us over 4 hours of total drive time! Driving home with our new trailer! Sweet find! Are you gonna trailer Seapickle up to DeTour Village to tour the North Channel this summer? Thanks for the comment! Our North Channel trip was the main reason for buying the trailer, but we're also excited to check out some other inland lakes. Any tips for launching from DeTour? Exactly for towing a boat of that size you must need a giant size boat trailer. 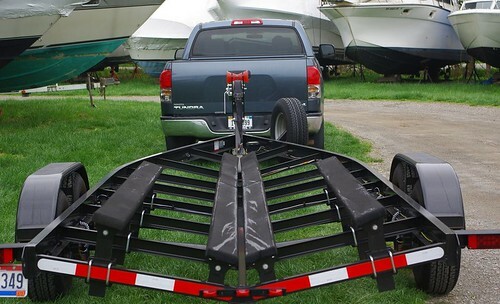 Boat trailers are a very necessary equipment for fishing and sailing, i also enjoy fishing and sailing on weekends. For real fishing and sailing adventure its important to have all the necessary equipment with you and boat tailor is surely one of them.